Thomas Doggett was a famous Irish actor and an associate theatre manager at London’s Theatre Royal, and the Drury Lane. 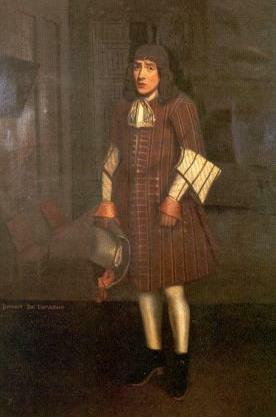 He gained a reputation for his comic roles in such plays as William Congreve’s ‘Love for Love’ and continued to play comedy parts at the Royal until his retirement in 1713. 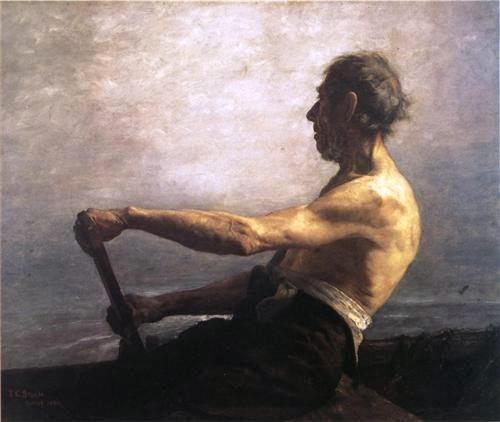 His life in the theatre involved long hours and late nights, and Doggett came to rely on the watermen of the Thames to get him around the city. The watermen were the black taxis of their day. Travelling with them was faster, cleaner and certainly safer than trusting to the streets. These watermen were so appreciated by Thomas Doggett that he made them the focus of an annual boat race that few people have heard of yet it remains the longest running boat race in the world. Doggett’s Coat and Badge (originally known as the ‘Brunswick Coat and Badge’) was founded in 1715 in honour of the House of Hanover. The event commemorates King George I of Great Britain‘s accession to the Throne on 1 August 1714 and the race has taken place ever since. But it is also a self-evident ‘thankyou’ to the watermen for the services they provided to the theatre manager over the years. Under the original rules the race had to be rowed annually on August 1st on the River Thames by six young watermen who were in their ‘first year of freedom’, meaning the first year out of their apprenticeship. The 4 miles 5 furlongs (7,400m) race is still held on the Thames between London Bridge and Cadogan Pier, Chelsea, passing under a total of eleven bridges. Originally, it was raced every 1st August against the outgoing (falling or ebb) tide, in boats used by watermen to ferry passengers across the Thames. Today, the race takes place in late July with the incoming (rising or flood) tide. Since 1722 the Fishmongers’ Company have organised the annual race in accordance with Doggett’s instructions. 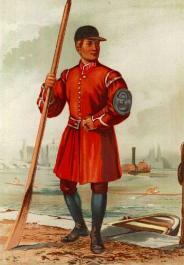 The winner’s prize is a traditional watermen’s orange coat with a silver badge added to the sleeve. The badge displays the white horse of the House of Hanover and Brunswick, with the word “Liberty”. Winning Doggett’s Coat and Badge in the 18th and 19th centuries would have helped to attract more trade for the talented watermen. They would have been seen as men of reputation and good-standing, knowledgeable and fast. During the late 1700s and early 1800s there were over 180 wharves marked on Boyle’s Map of the Thames but there were also many other jetties and unauthorized landing places that were used for all sorts of clandestine activities. Knowledge of the Thames would have involved more than simply knowing the tides and routes, the landing points and steps of the City. Living on and working the Thames, the watermen would have been a source for all sorts of news, stories, gossip. They would have come into contact with other river folk like lightermen, wharf owners and quay managers who were willing to turn a blind eye as a vessel arrived with a special load. But we shouldn’t consider them to be on the wrong side of the law. They were usually respected men, requiring a special licence to work the Thames but they did have the intelligence a free-trader would find invaluable. An additional purse paid for useful information or an introduction was welcome at a time when taxes were punitive. For an organisation like the Seasalter Company, people like the watermen could provide the inside information they needed to operate between Whitstable and London. The Seasalter Company was the most secretive and successful smuggling fraternity operating in the South East, certainly around North Kent. We know that one of the architects of the organisation, William Baldock, used both land and water to get cargoes safely to and from London. The Company (and other smugglers like James Feaste) also used water routes to get prisoners-of-war out of the country. Travelling down the lower reaches of the Thames, around the Isle of Sheppey or into the Medway, an escape route would make use of tidal creeks around Faversham, the mud flats of the Oaze, and onwards to Whitstable. Then it was a matter of finding a discreet passage abroad. William Baldock had two Hoys operating out of Whitstable and twice a week they would sail back and forth to London. But they could also slip across the Channel and be in a port like Calais within 6 hours. Because they were a familiar trading sight few authorities considered what else they might be carrying. A distinctive features of the Seasalter Company was their planning capabilities and attention to detail. Knowledge of what was happening was crucial and the watermen and lightermen on the Thames would be invaluable in deciding how and when a cargo should be moved in or out of the City. 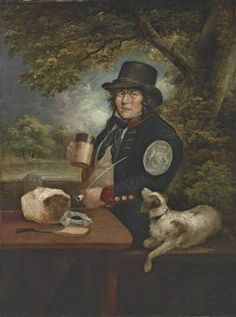 Wikipedia: ‘Doggett’s Coat and Badge’, Thomas Doggett.